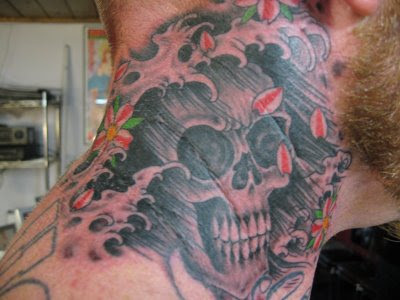 Tattoo on Russell's neck by Dan Herlihy Design from the Immaculate Tattoo Flash book. Another sun day in the middle of winter. Come get a tattoo! Fetchy is hanging out at the Lucky 7 today. Pugs love to sit in front of the computer.